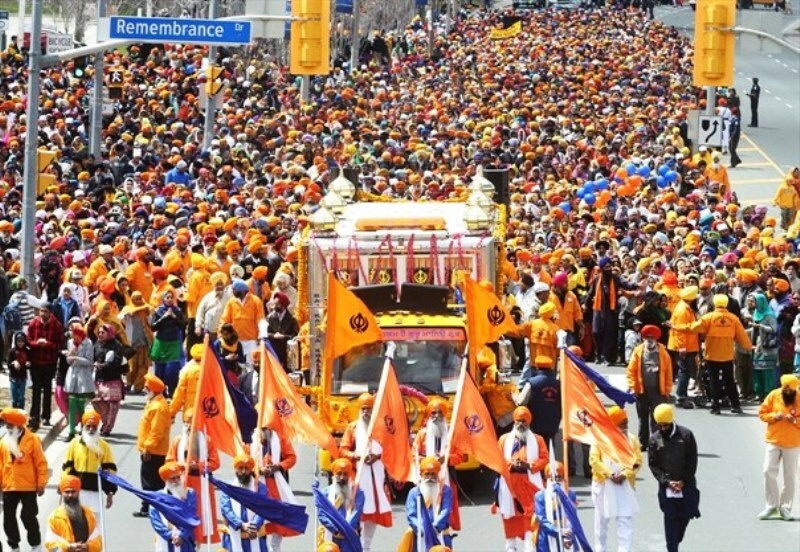 Vaisakhi is a religious festival of Sikhs. It carries various other names such as Vasakhi, Baisakhi, Baisakh, Vaisakh, and Vaishakhi. The festival is celebrated mostly on 13th or 14th April every year. Vaisakhi will be celebrated on 14th April in 2019. Despite it marks the celebration of Punjabi’s New Year, it also takes us back to 1699; when Sikhism was born and became a collective faith. 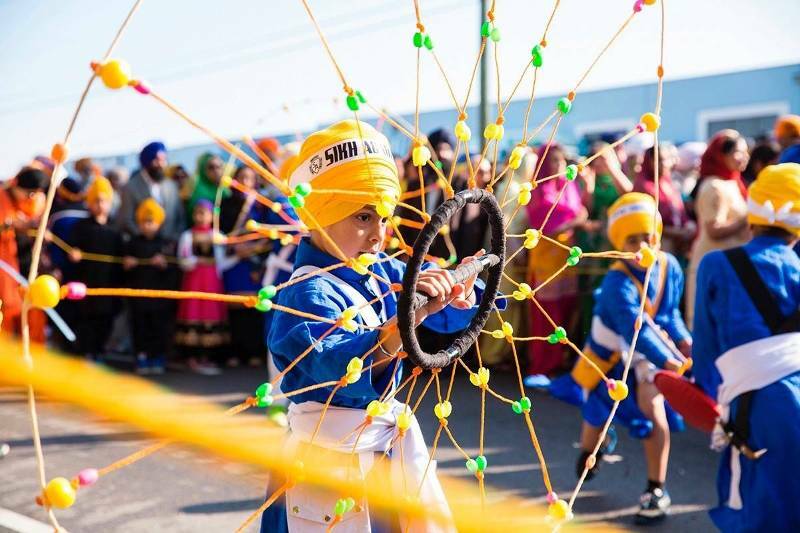 This festival has been celebrated to appreciate harvesting in Punjabi culture from time immemorial but an added dimension makes it even more important for Sikhs. In 1699, Guru Gobind Singh (one of the 10 Gurus), established ‘Khalsa’ on the occasion of Vaisakhi. During the festival of Vaisakhi back in 1699, Guru Gobind Singh came out of a tent with a sword in his hand and challenged his fellow Sikhs to come into the tent if prepared to sacrifice their lives for the religious faith. Five Sikhs volunteered and followed Guru Gobind Singh into the tent. When he returned from the tent alone with a bloodied sword, the restless crowd started panicking until they saw the 5 Sikhs coming out of the tent wearing Turban and saffron-coloured clothes. Those five baptized Sikhs were known as ‘Panj Piare’ or the ‘beloved five.’ Amrit (elixir) was sprinkled on the Panj Piare while reciting the prayers. This ritual officially became the Sikh Baptism ceremony. This day is celebrated with unparalleled enthusiasm and joy, especially in Punjab. Gurudwaras are decorated, people dress up in vibrant traditional clothes, attend the parades, and men perform Bhangra while women collectively dance on Giddha. Also, on this occasion, many Sikhs choose to get Baptised to join their brothers in Khalsa sect. 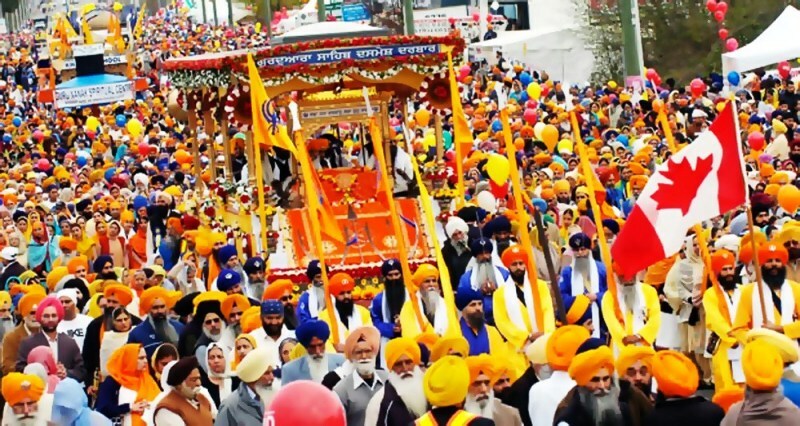 Nagar Kirtan procession is carried out. Nagar Kirtan means recitation of hymns and prayers in the streets from Guru Granth Sahib (the holy book of Sikhs). Farmers display their regards for being grateful for the plentiful of harvest and pray for good agricultural production for the next year. 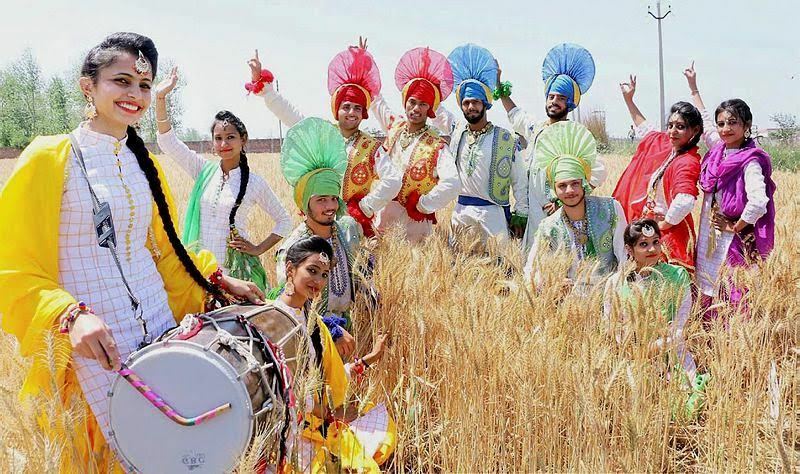 Punjabis worldwide too celebrate this occasion with great pomp and show as they feel connected to their roots and cherish their culture.